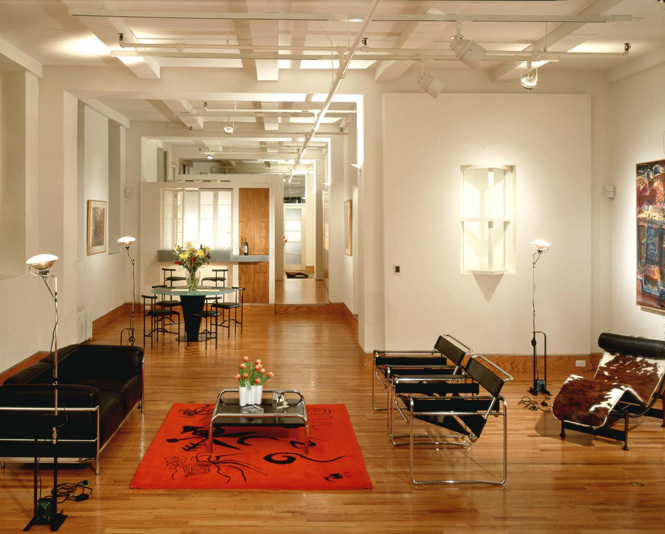 The Sadka residence is located on the fifth floor of a converted industrial building in Manhattan’s Greenwich Village. 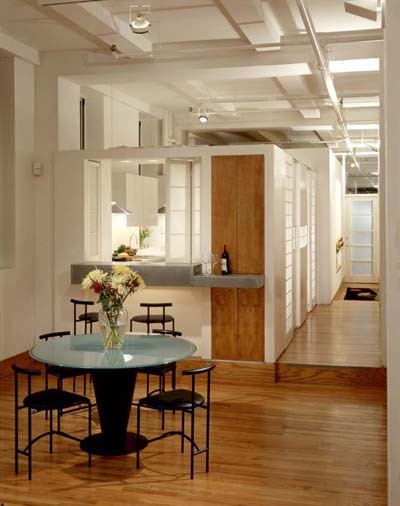 The 2,200 square foot loft is enhanced by repetitive structural bays, which order the space into six different zones. The stair and elevator core protrude into the space along one side. 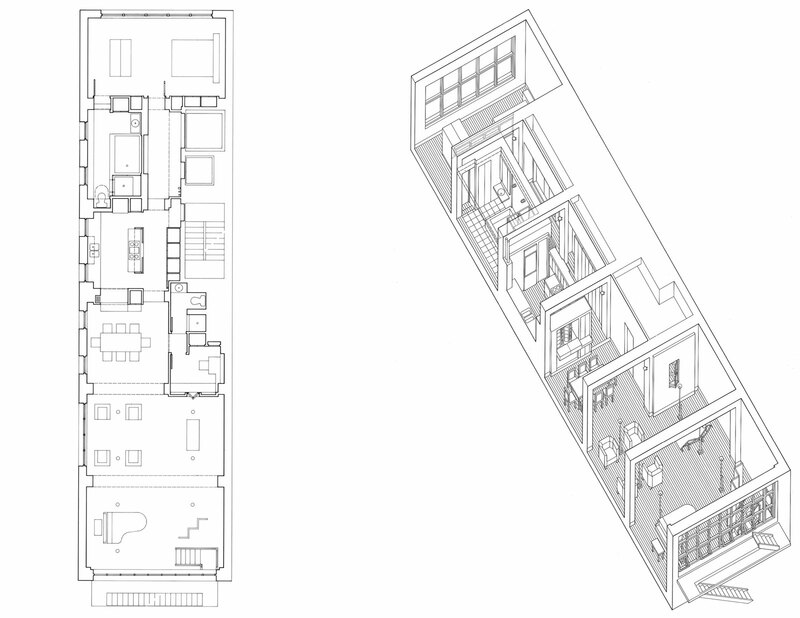 To minimize the impact of new construction within the space, much of the required program is contained within an “expansion” of the stair and elevator core. All other constructions are designed as objects in the space, responding to their function and location. The most solid and enclosed object, the bathroom, defines the entry and bedroom. 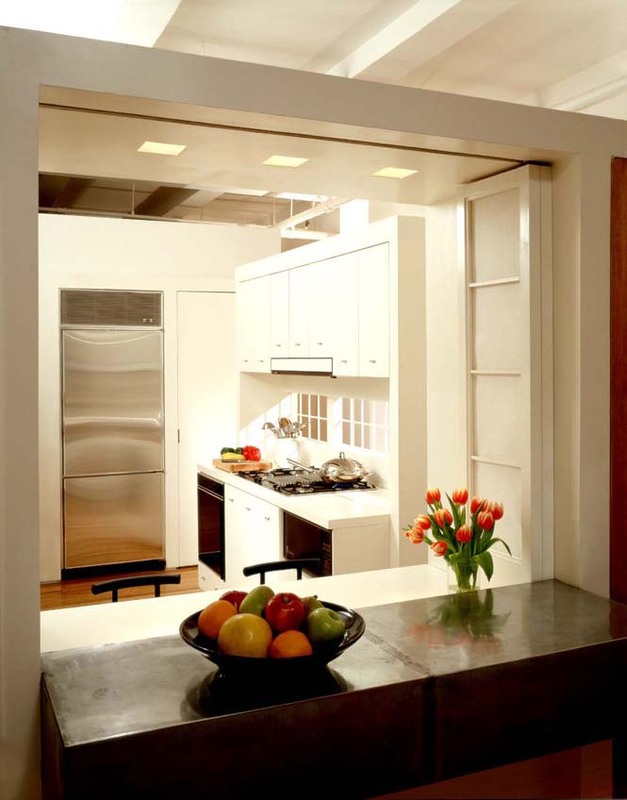 The lighter elements forming the kitchen lead you through the space to the dining and living rooms beyond.